Runnymede Council aims to provide advice and assistance for applicants looking for accommodation in the Borough. Applying to join the Housing Register is only one option, and not everyone will qualify. It is important that you carefully read the Eligibility and Qualification sections of the Allocations Scheme which sets out clearly who does / does not qualify. For example if you do not meet the local connection criteria you will not be able to join the Register. 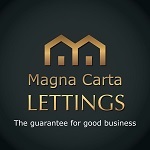 Runnymede Council’s in-house Lettings Agency Magna Carta Lettings (MCL) can sometimes help families with dependent children or those expecting children who are homeless or could be at risk of becoming homeless. Assistance can include a loan for a deposit and rent in advance. For eligible households, MCL may have a private sector property available or give advice on finding a suitable property to rent privately. MCL will also help with Affordability assessments and advise on claiming Local Housing Allowance (Housing Benefit).